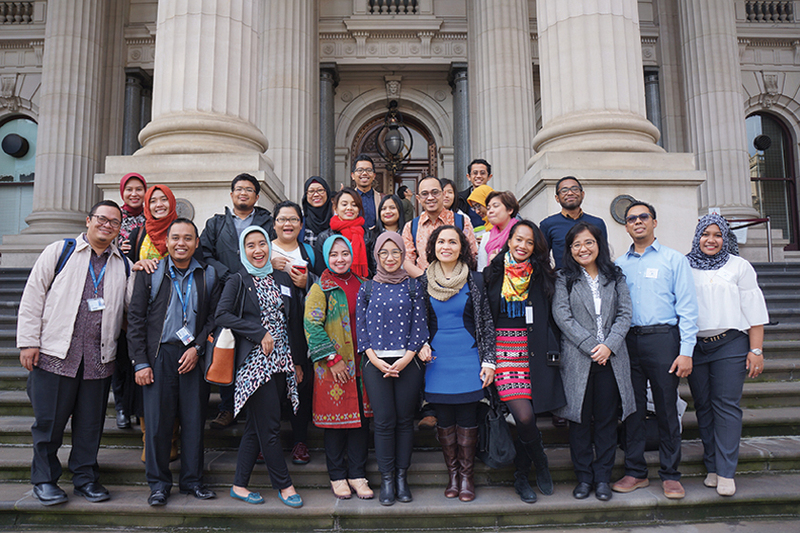 Although not organized directly through AAI On Award Enrichment, Volunteering is encouraged as a Self-Led Enrichment activity which all AAI scholars in Australia should consider. As explained during the Introduction to On Award Enrichment Workshops at the commencement of each Semester, there are many different types of Volunteering activities which can be selected from according to the type of commitment that the AAI scholar wants to make. Volunteering is a great way to introduce the AAI scholar to life outside the academic environment. Often the type of work undertaken as a volunteer is different to the professional background of the scholar and this can provide an interesting alternative to the day to day activities undertaken at university or in their previous professional role in Indonesia. There are several different ways to explore volunteering options and perhaps the easiest is to explore what is available through the AAI scholar’s university. Often there will be volunteering jobs that are advertised at University and these are worth keeping an eye on. There are also websites such as Go Volunteer which is a very useful place to explore various types of volunteer work. Of course, balancing any work outside of studies is an important consideration for an AAI scholar. Before you make a commitment to undertake any volunteer work, carefully assess how much free time you have and what amount of time you are willing to provide to the volunteer organization. Most AAI scholar volunteers will agree that the benefits to be reaped from being a volunteer are far greater than any additional work it represents.